It’s iced water through a straw and the whirring click of a mechanical swing. 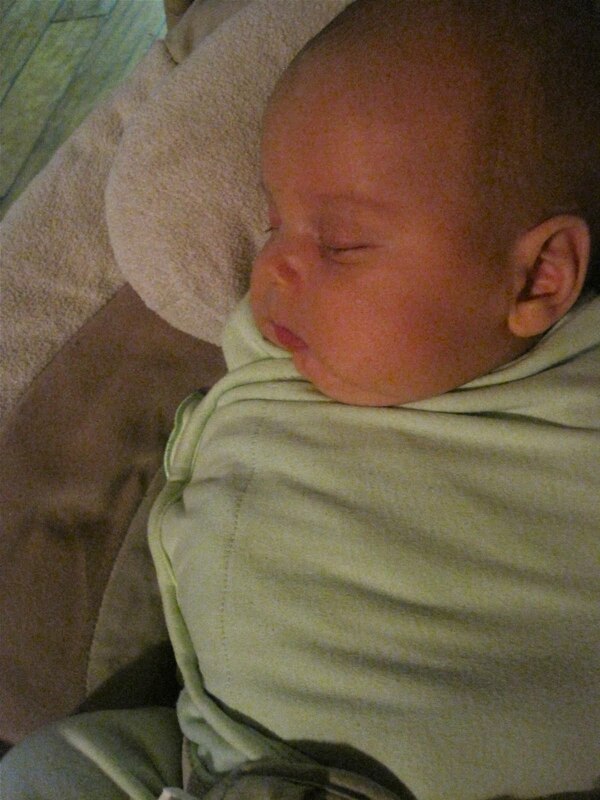 It’s a baby snoozing and swaying to the tempo in a quiet corner of the living room. It’s pens with cooperative ink, and stories with lots of pictures. 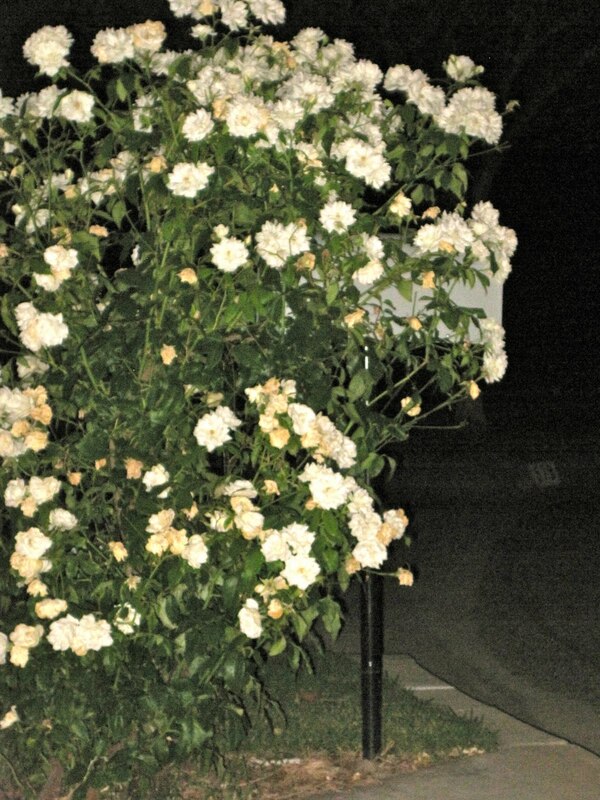 A midnight wander to a mailbox wrapped in white roses and the pincher bug picnic inside it. It’s preached by orange flyswatters hitting their mark and the whispers of a ceiling fans in July. It’s the gifts I take for granted. The weight of wonder we carry in our hand, in a day, in a minute? We often don’t see what we’re holding, focusing instead on the things that are missing; the vapors, the goals, the dreams. Even babies can become routine. I marvel at this, how the miracle becomes the burden at 2 a.m. I march up and down the dark hall and by daybreak my tired head knows the truth: Thankfulness is a sacrifice. I growl. I bury my head in soft pillows and rub my foot against the sheets, rebellious against the dawn. I’m a Morning Monster, angry about the sleep I lack. Finally, I chose. Raising my head my feet touch the ground and I take the flame of sunrise, light a match of gratitude, and burn the have-nots and the want-so-muches until all that remains is the what-I-have, and it is enough. I tumble to my toothbrush. My soul can barely whisper it, the Chosen Thank-You. It’s a murmur, it’s a choice, it’s the only way to see. It’s the only way to live. This was truly a wonderful way to start the day. Your post is inspiring and amazing! that is so beautiful. you are the such a beautiful writer. your words bless me and i am thankful. Tobin is a doll!! Thankfulness is definitely a choice -sometimes a difficult one. I find it so hard when I'm tired. This is beautiful…and seeing that I need a major attitude adjustment, it is a word in due season. Thank you. Beautifully said – and bravo for the change of attitude. (Love your name – and thanks for coming by my blog and leaving a comment.) Hope the door closes softly on some dreams today, even during daylight. Girl if you're gonna go around all sleep-deprived, you really oughtta write a little less lovely. Maybe the sheer gift just powers its way through the fog. Please come paint fish with me. I would adore it. Pure poetry, every image wraps into the next. And you're so right — the miracle becomes burden — suddenly sacrifice is the only lovely thing. Thanks, sweet friend. Awww, look at those cute chubby cheeks! I love every single thing you write. Your words are a miracle all by themselves. Your writing, when it's like this, just crushes me with its beauty. Such extraordinary words that we would all be better if we lived by them. I try every day to thank God for all the little, beautiful things. My husband always has said I am the easiest person he knows to please. And truly, every day is just so full of grace and quiet simple wonders, how could anyone not find satisfaction in that? Joann your blogs are so enjoyable! I read them with my breakfast each morning. You need to check out my good friend Doreen's blog at http://www.redesignbygrace.com/. She has a style I think you will like. Read the blog on “perspective” http://www.redesignbygrace.com/?p=551.